Product Review & Giveaway: PickleAde! There are two types of people in this world – those that like pickles, and those that don’t. If you happen to fall into the latter category, then this post isn’t for you. You may as well stop reading right now and just come back in a few days when I publish a new post (not that I don’t appreciate you stopping by!). I personally am in the first category – I LOVE LOVE LOVE PICKLES, so when I saw something called “PickleAde” mentioned on Twitter this summer I knew I had to check it out! 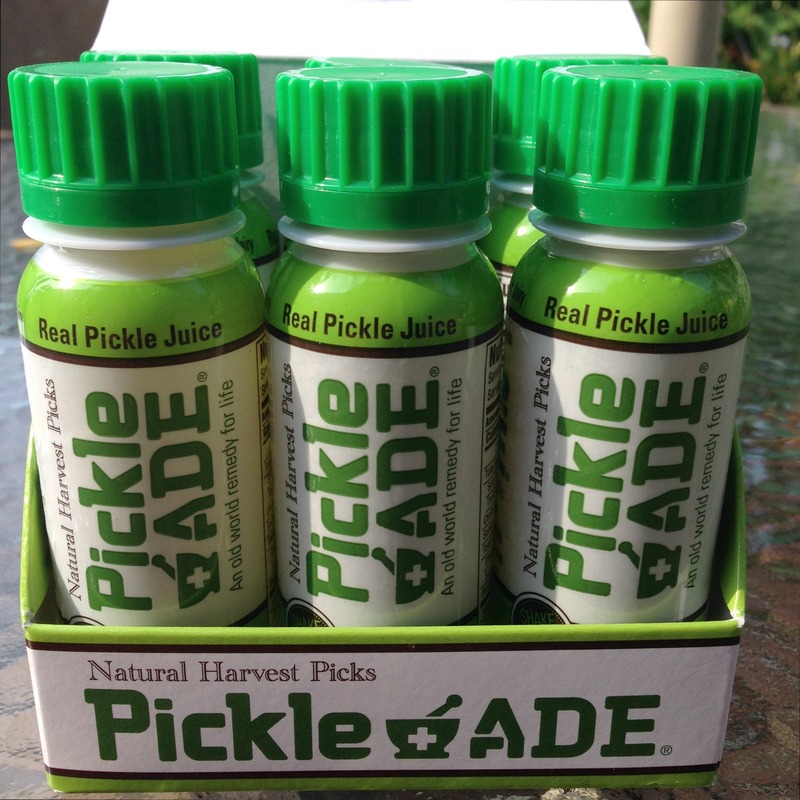 Yes friends, PickleAde is exactly what you think it is…BOTTLED PICKLE JUICE! 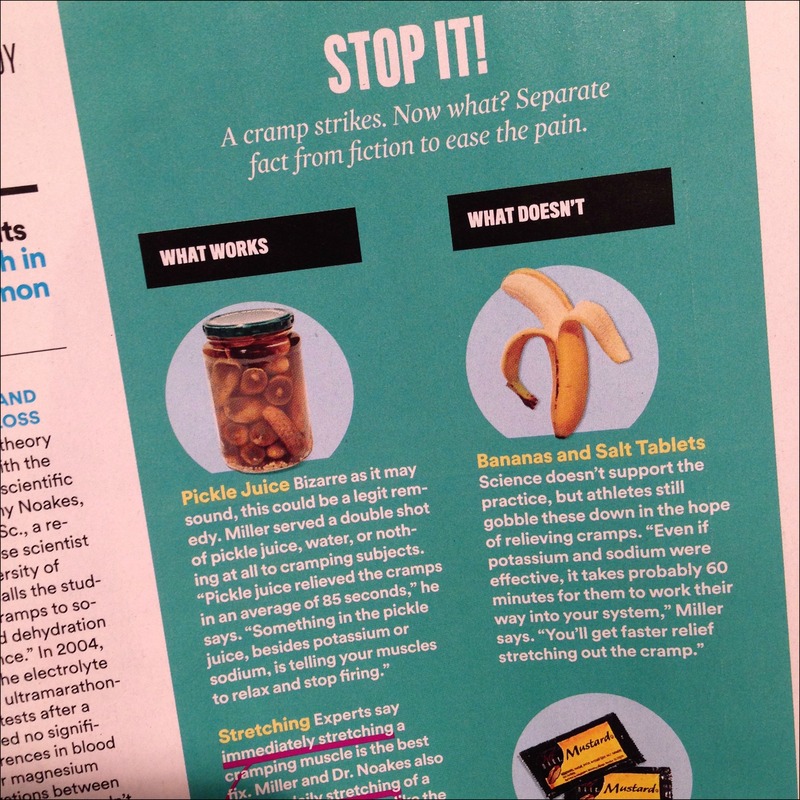 Believe it or not, pickle juice is actually a great source of electrolytes and a way to relieve a cramp while exercising! I don’t often get cramps while running, but I am a SUPER salty sweater (the things we share among other runners! ), so I was interested in trying it to see if it would help me as an electrolyte replacement option. Those white flakes are all salt post-run! The PickleAde comes in small bottles, but it’s important to note that this is NOT a single serving – there are actually 3 servings in this little bottle! 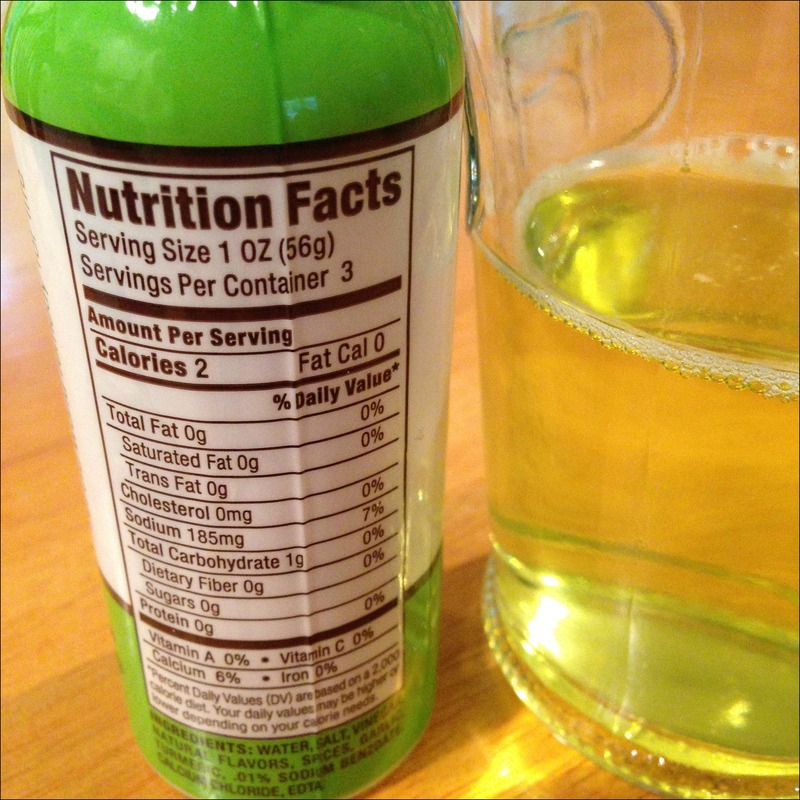 So in one third of this bottle (1 ounce) there is 185mg of sodium, which is actually MORE than an entire 12 ounce serving of a product like POWERADE – basically this boils down to a lot less liquid sloshing around in your stomach! It took me a few runs to sort of figure out how to use this product. While the website does have a lot of great information about the benefits of pickle juice, it doesn’t have much information on the suggested use. Normally on a long run, I’ll sip an electrolyte beverage every mile or so, or at every water stop. With this only being 1 oz of product to get the same benefits as 12 oz of a different electrolyte drink I wasn’t quite sure when/ how to use it – do I drink the 1 ounce before my run? Halfway through? After for replenishment? Do I use my regular electrolyte beverage too, or just drink water?? So, I experimented a bit. The first time I used it I stopped at my car halfway through a long run and took a swig from the bottle. The result – I think it was too late. The next long run, I actually meant to drink it before my run, but totally forgot, so I drank some after my run as an electrolyte replacement. Not really sure if this did anything. Finally, I remembered to take a swig of it before a long run and while I can’t say for sure, I do think I wasn’t caked in salt as much as usual after my long run! I definitely have some more experimenting to do with it to try to get my usage just right, but I do really like the idea of being able to drink 1 ounce of liquid to potentially get the same benefits of 12 ounces of liquid. Oh…and the taste?? Well, it takes like pickle juice obviously! So, you intrigued?? Well PickleAde is going to send one Live, Run, Grow reader & pickle lover their own case if PickleAde to test out! Disclaimer: I was sent a free sample of PickleAde for this review. All opinions are 100% my own, I was under no obligation to give a positive review. Also, please note, I am not a dietitian, nutritionist, sports medical professional or anything of the sort, just a fellow runner sharing my thoughts on a product I had the opportunity to try out! Liked it on Facebook! 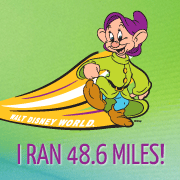 This is quite awesome… I usually rely on Powerade since that’s what they have at Disney races. But this looks really interesting, and nearly zero calories, so I’m really interested to try it! I followed you both on Twitter (tweet, tweet). I haven’t quite made the jump into electrolyte replenishment drinks yet. Usually, I’m just pumped that I haven’t passed out. PickleAde reminds me of growing up with my sister – she used to eat pickles, drink milk, then wash it all down with the pickle juice. OH MY GOD I WOULD LOVE TO TRY THIS. 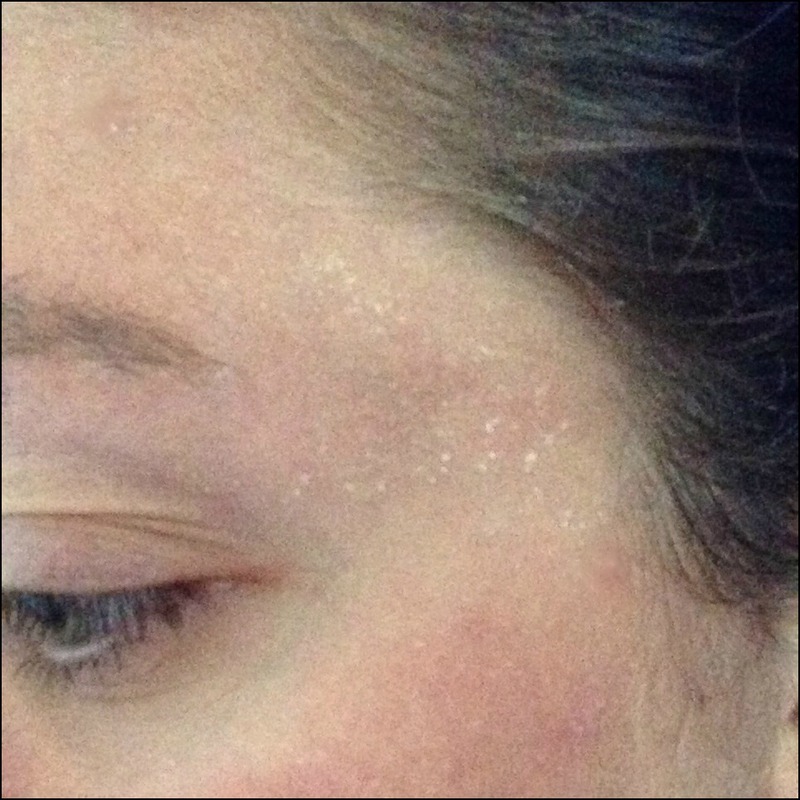 I sweat like crazy when I run (I really believe I sweat more than the average person) and I am always supersalty after a long run. And I LOVE PICKLES. So basically this seems amazing. I’m a big fan of blue Powerade currently, but I’d be more than excited to add something less sweet into my routine. Nice! How did you get in RW?? I like pickles, but I once was at the movies and saw a lady just eating a whole big pickle…never had the urge to do that. I’d like to try this. Entering now! OK, I admittedly am a non-pickle lover who disobeyed your orders to stop reading, BUT I did it for good reason! 1 – I read it on Doug’s behalf (as he is a pickle lover) and 2 – so I could tell you about these pickle juice shots that they have at a bar down on Stone Street near my office. 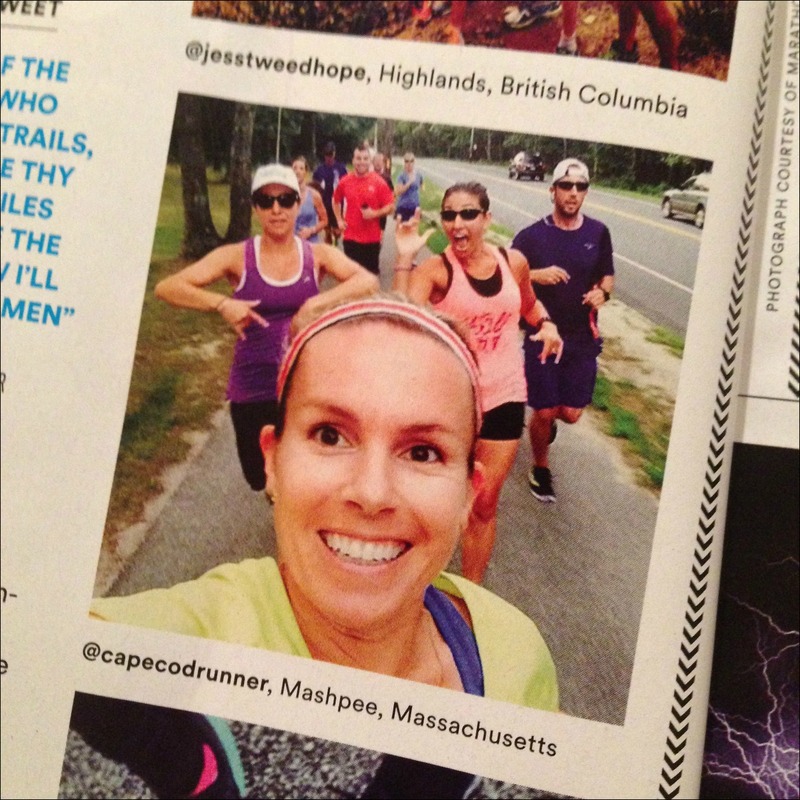 I know you’re not in NY anymore, but maybe a possible celebratory post NYCM treat for you? Haha, I’m not a pickle lover. I can take them or leave them. I stopped reading at your second request 🙂 Hilarious.